Compared to last year, the football action in the city has seen a massive shift in positive orientation. About a year ago, the state of football in the city had taken a U-turn. 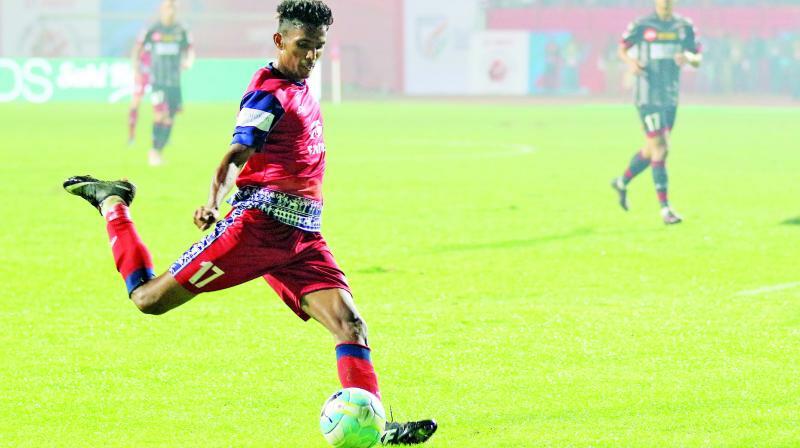 The homegrown I-league club, Mumbai FC had released all its players calling for a shutdown, national team did not even have a handful of names in the squad from Mumbai, and even local leagues were affected by this uncertainty. The situation has changed over the course of one year though. The local authorities have played their parts. Respective squads in different divisions have seen the inclusion of players from Mumbai. The most remarkable ascension has been one of the girls in the sub-junior category. They won multiple trophies in state championships in the last year. Four players- Priyanka Sujeesh, Jahnvi Shetty, and Mmehak Lobo, all from Mumbai, and Anjali Barke from Pune made it to the Under-15 Indian team that went to the SAFF Women Championships. Among them, Mmehak who is forward has risen rapidly netting goals in almost every game that she plays in. While Priyanka plays as a defensive midfielder, Jahnvi provides the options of playing in the right wing position or as a central defensive midfielder and Anjali is a goalkeeper. “We have been working really hard to make a change. We want Maharashtra to stand out and in the last year, we have seen these girls perform really well either in local tournaments or national competitions,” says former Indian goalkeeper, Henry Menezes who has been watching these players closely. In the senior squad, not too many players from either Mumbai or Maharashtra have their presence but there have been promising names in the junior squads. Two of them are Farukh Choudhary, 21 and Nikhil Poojary, 23. The latter got a call-up in Stephen Constantine’s senior squad but an injury kept him away until recently when he was called up for the Under-23 squad. Similarly, Farukh has been a part of the same U-23 squad. Nikhil signed a contract this year with Indian Super League franchise FC Pune City and Farukh signed for Jamshedpur FC last year. The forward played in 17 games last year in which he started most of them. “They (Nikhil and Farukh) have been young prospects of the city. They possess a lot of talent and I am glad that they are doing well for India (U-23),” says Henry who is also the CEO of Western India Football Association (WIFA). For the longest time, Khalid Jamil remained close to Mumbai football. He coached Mumbai FC for six years with his term ending with a sacking. His infamous story of winning a title with a substandard Aizawl FC squad will remain in the history books. However, there have been few from the city to join him at top-level coaching. One such name is Floyd Pinto who was once a student of St Mary’s School (Mazgaon). He is coaching the Under-19 India squad and the AIFF Elite Academy. There was a deep void in coaches from the city but even licensing programmes started by WIFA have allowed contenders to live their coaching dream. Even former Premier League Footballers, Michael Chopra came last year to pursue his coaching license from WIFA. The intercontinental cup, which was taking place here, saw a massive response after Sunil Chhetri’s viral video. The process might be slow but it is underway, even in this city.